Last summer I decided I had enough. I was getting horribly tired in the middle of the day. My wife kept nudging me (i.e., sharp elbow to ribs) about my snoring at night. These symptoms had been getting considerably worse over the years, so it was time I did a little research. I checked out my symptoms on a few websites, and I found out enough information to ask my family doctor during my annual physical. Based on my observations and suspicions, he recommended that a sleep study be performed on me. For those who have never had a sleep study done, let's just say that it's like something you would see on a Sci-Fi Channel horror flick. Somebody in medical scrubs places electrodes all over your body (and I do mean, ALL OVER). Then they tuck you in bed and tell you to sleep. After a night in "Frankenstein's lab," my suspicions were confirmed. I was suffering from sleep apnea. Sleep apnea is a disorder where your body chooses to block airways while you're asleep, which means you quit breathing, which means your body wakes you up just enough to tell you you're not breathing, which means you never achieve deep REM sleep to make you feel rested. The Greek word "apnea" literally translates "without breath." The solution? I get to wear a CPAP (Continuous Positive Airway Pressure) machine at night, which keeps my airway from closing (which it was doing up to 15 times an hour... no wonder I was so tired). The results over the last year have been nothing short of phenomenal with my energy level, not to mention the lack of snoring. I wish I had thought to check for that a long time before, but everything happens in due time. It is estimated that 12 million Americans suffer from this disorder (a conservative estimate by some). Why should you care about sleep disorders? Well, a buddy of mine was complaining the other day that his company was filled with zombies, that everybody walks around in a groggy fog. Nothing ever gets done, but there seems to be a lot of unpleasant noise in his organization (grumbling, complaining, excuses). I was able to play doctor fairly easily on this diagnosis. His company is experiencing Accomplishment Apnea. Their sense of mission and accomplishment isn't getting any oxygen to keep it alive. There could be a lot of things causing this airway closure: fear of failure, a culture of non-accomplishment, energy vampires, forgetting (or ignoring) values, a mob mentality (justified or not), or just a need to slow down or stop and regroup. Accomplishment apnea, like sleep apnea, is systemic. Isolating a single cause is generally unrealistic. The main goal is to cure the disorder in order to get the patient breathing again. Your CPAP (Continuous Positive ACCOMPLISHMENT Pressure) solution is up to you. Each of the posts I've linked to above comes with many wonderful suggestions for handling the situation. The trick is to recognize the sluggishness and the unpleasant noises. As untreated sleep apnea can kill a human, untreated Accomplishment Apnea can kill an organization... and when that happens, a little bit of everyone dies. You just keep amazing me! I've been doing CPAP for 4 years now. I can't imagine sleeping without it. My sleep apnea is caused by weakened breathing muscles - one of the many results of surviving polio. The constant pressure reminds my muscles to work. Without the CPAP, my brain had to wake up - and wake up my body in order to get much needed oxygen. I never thought to compare apnea to accomplishment. You've done it masterfully! Thanks, Diana... glad I'm not the only person on the blogosphere who's experienced this. The connection between the two (sleep apnea and accomplishment apnea) came in a very surprising way... and the way my brain detours synapses all over the place who knows what other connections might have occurred. What an interesting correlation! I so enjoyed reading this post, Tim. Thank you. Lidor - thanks for stopping in. You are so right about the awareness factor. In both cases, it's critical. Liz - thank you for the feedback. Correlations and connections are what it's all about in the blogosphere, right? Tim - This is such a perfect picture of what happens in so many organizations. As this condition gets worse people start to worry more about associating non-accomplishment with others (aka pointing fingers!) rather than accomplishing things themselves. It's a horrible cycle! Ann - your insights are always welcome and appreciated. Glad I could provide some insights on what happens when our company's "airway" gets blocked. Thanks for stopping in to comment. Been on a CPAP for years now and there is an amazing difference in energy level. The only thing you have to get used to is looking like an extra from the movie, "Coma". Thanks David... yes, I agree, the appearance of the CPAP leaves something to be desired. By the way, have been enjoying your book immensely. What great stories and insights! Great post. Very funny stuff, and good pictures to boot. Sleep apnea has affected thousands of people. There are different kinds of sleep apnea, mild and severe. According to the level of condition, it needs treatment because without it, it can be potentially injurious. There are different factors by which, one can suffers from Sleep apnea, that are- By the throat muscles and others with brain signals not being sent in the right way. 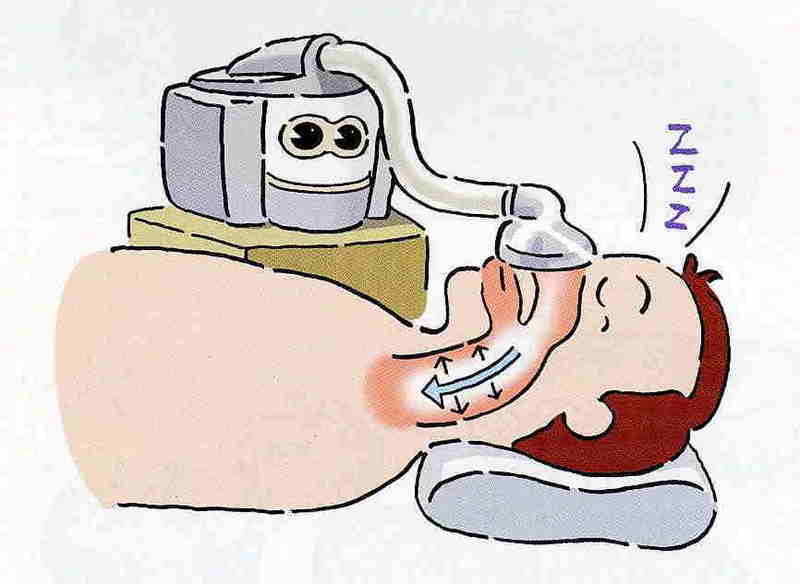 The basic aim of Treatment for Sleep Apnea is to change the nighttime breathing habits of a person.